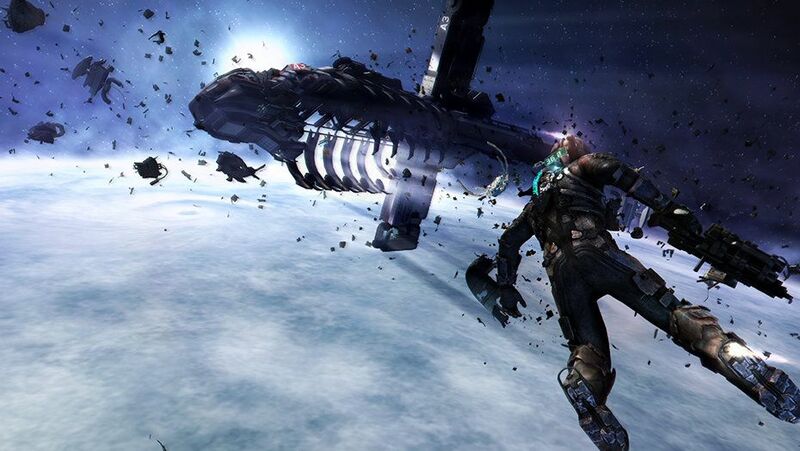 The first Dead Space turned 10 years old last month. It took me a month to get through the first two hours when I first played it. Every time I jumped back in and clumped down one of the USG Ishimura’s dark corridors, a monster would pop out of the vents and I’d jump up, smash the pause button and find an excuse to do anything else but play it. Many fans loved that sense of dread, but for some players it was simply too stressful. 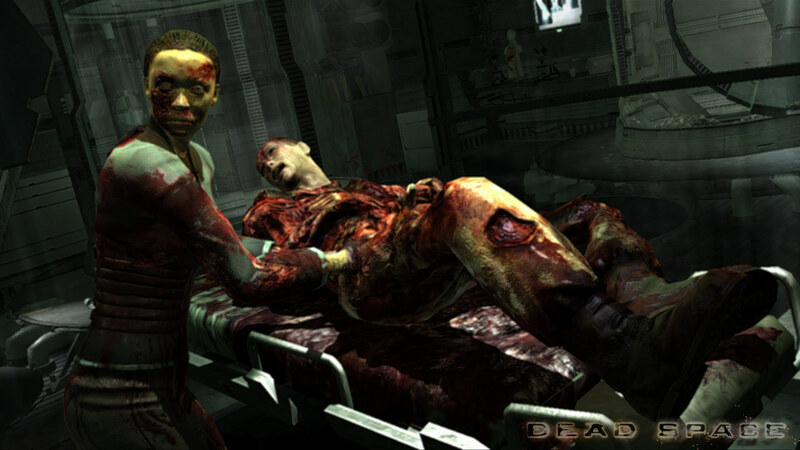 It was a dilemma that, according to Milham and Dead Space 3 creative director Ben Wanat, would help shape the transformation of the trilogy. What began as a lonely, tense horror series slowly became more wedded to explosive set pieces. Though Dead Space 3 was still a horror game, it had a co-op campaign, powerful machine guns and cover shooting. And as the pair explains to me, the worry that it was too scary wasn’t the only factor driving change: publisher culture, a desire to tell a more complete story, and polishing rough edges all played a part. Dead Space came out of the blue. At the time, Visceral Games were called EA Redwood Shores, and were most well-known for making movie tie-ins. “The game I was working on before Dead Space was From Russia With Love, the James Bond licensed product,” says Wanat, who was then a production designer. “So of course we jumped at the chance to do something of our own making.” He calls it a “miracle” that EA approved it, but adds that a lot of studios were creating new IPs, which might explain the publisher’s eagerness. In a way, time and budget constraints helped Dead Space. Wanat says the team “weren’t capable of doing anything extravagant”, but that meant they could concentrate on something more personal and smaller, with lots of hand-crafted moments. I’ll never forget the scene where Isaac comes across a mutated woman vivisecting one of her former colleagues. Both Wanat and Milham both say that Visceral didn’t set out to make Dead Space 2 less scary, but it ended up that way all the same. It’s plenty horrifying in places, and still makes me jump, but it’s less tense, and its larger locales and frequent action sequences make it feel less claustrophobic. The trend among developers at the time was to create flashy cinematic moments like those in Uncharted 2, which came out during the development of Dead Space 2. The Visceral team called them “epic moments”, and wanted to make sure Dead Space 2 was packed with them. The team also wanted to “spruce up the controls”, which some players complained felt clunky in the first game. Isaac became more agile, and his animations were sped up. They also wanted to tell more of a story, which meant having a tighter grip on pacing and introducing more characters, says Milham. But if the team weren’t deliberately dialling back the horror in Dead Space 2, they were certainly considering it for Dead Space 3. Despite the team feeling Dead Space 2 was a better, more polished game in nearly every way, it sold about the same as the first game while costing a little more to make. 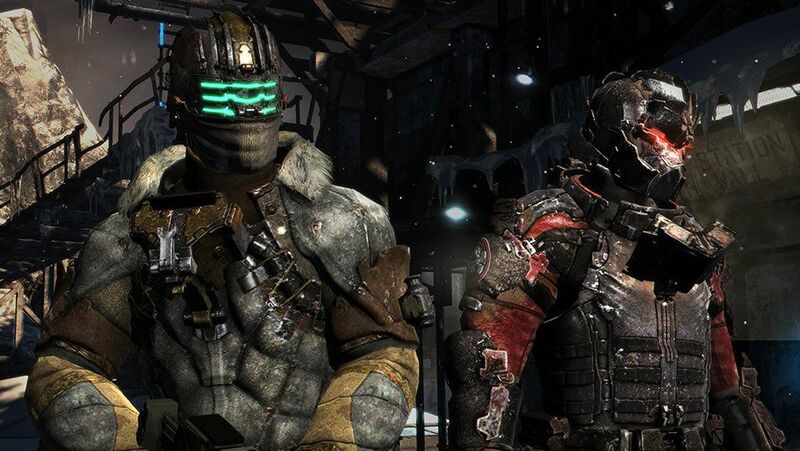 Doing the same for Dead Space 3 “wasn’t an option”: the team had to find a way to bring in a wider audience, and so they decided to build it for co-op from the ground up. 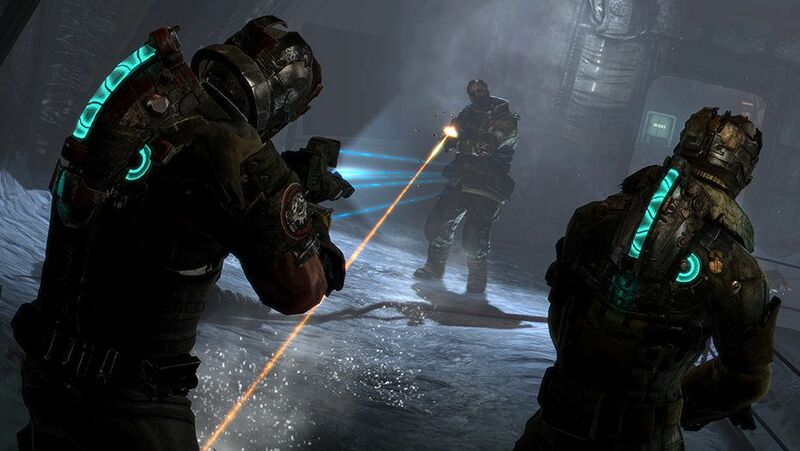 Milham, who left the team after pre-production of Dead Space 3, says the theory was that players who “might’ve been intimidated by the scare factor could play with a friend”. Wanat adds that it was also a reflection of where the industry was going at the time: publishers were shifting towards multiplayer to try and expand their audience, and EA wanted to do the same. You can play Dead Space 3 in singleplayer, but all the mechanics were designed for two players. To Wanat, it felt like a bold step, and he says that other co-op games at the time hadn’t fully “wrapped co-op into the story”. That was his goal. It was also harder to set up scripted moments, because it’s difficult to make sure two players are both looking in the right place at the right time. Those moments were replaced with resource gathering, puzzle solving and combat. Isaac’s arsenal became heavier, and he could take cover. I enjoyed the shooting, especially when I played it co-op, but it undoubtedly removed most of the tension that had been the basis for the horror in the first game. The story was also a bigger point of emphasis in Dead Space 3. 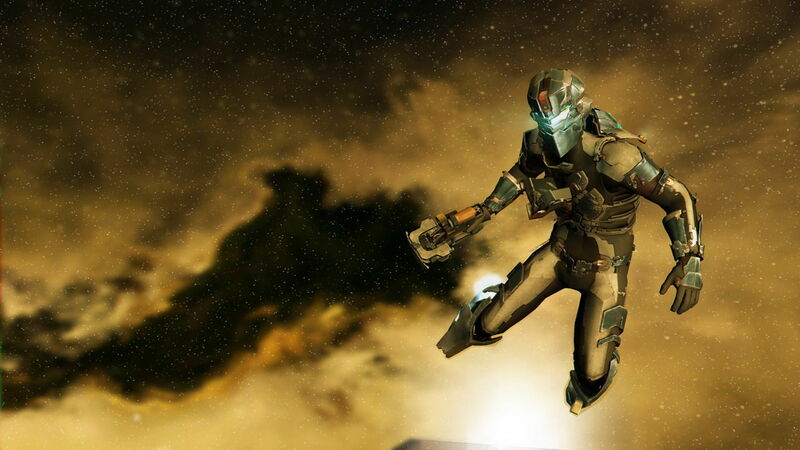 Wanat took over the creative direction after Dead Space 2, and says his love of narrative meant he wanted to dig into the lore of the universe. If Dead Space 1 and 2 asked you to survive against waves of mutated horribles, Dead Space 3 asked: why are they here, and why are you fighting them? Wanat tells me the team suspected it would be the last in the series because EA had better-performing franchises on their books, so he was determined to “put a bow on it”. Although it ends on a cliff-hanger, it certainly resolves some of the questions that arose during the first two. Both Wanat and Milham are proud of what they produced, and it’s clear that they’re both still passionate about Isaac Clarke’s journey. Milham, who left EA for Tomb Raider developers Crystal Dynamics in 2016 and who now works at digital effects powerhouse ILM, says he’d love to make another Dead Space game. “The way forward would be to stay essential to what the series wants to be: personal, essential, full of atmosphere, and try to make that work with a budget and effort that makes sense.” Wanat, who also joined and remains at Crystal Dynamics, says something similar about what he’d do if he could go back: “take all the tricks we learnt for polish, but apply them on a more personal level, creating a more personal and affecting experience.” Maybe one day they’ll get another chance, but for now, we’ll have to make do with what they left behind. Which isn’t so bad at all.